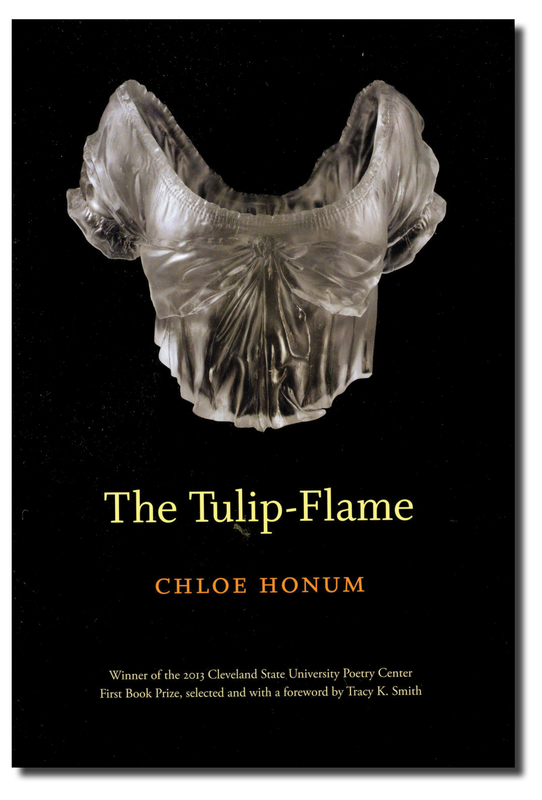 One of the most interesting things about Chloe Honum’s new chapbook, Then Winter, is its correspondence with her debut collection, The Tulip-Flame. The works enrich each other. Largely, this is testament to the power of that first book, which narrates with brutal sparseness a woman’s psychically embattled coming of age; the speaker copes with her single mother’s severe mental illness by subjecting herself to the equally severe disciplines of ballet and anorexia. Displaying a fierce talent and focus (to borrow from the poem “Group Therapy” from Then Winter), The Tulip-Flame enacts a delicate and finely balanced need for control. Then Winter’s speaker is in a psychiatric ward. Although the consistent, first-person speaker sounds similar to the speaker in The Tulip-Flame, there is no mention of ballet or a suicidal mother. Honum’s reticence on this account is a measure of the pull of that first work—its eclipsing subjects and methods. With little backstory or context on its own, this chapbook is not simply an epilogue or next chapter of that life. Continuity has been compromised. On stage each night I shape a single story. we’d ever be clipped from it. on a coffin—I was soothed . . . Looking back with retrospective irony, The Tulip-Flame’s speaker can see what her younger self couldn’t: that even her closest-knit moments as a ballerina spelled out separation, disintegration, the end. Rather than congratulatory bouquets, the dancers resemble coffin roses. Though momentarily fended off, the threat steadily encroaches, erodes, undermines. Like Dickinson’s famous speaker, she hits a world at every plunge. Read alongside The Tulip-Flame, Then Winter opens on the question of which next plunge and world will hold her together. It’s a question of sanity as well as poetry, of style as well as subject. Then Winter cuts (or troubles, anyway) ties with the past—with the subjects and, to a large degree, with the modes of The Tulip-Flame. There’s no backstory or received forms. There’s less polish, flare, and congruence; more prose poems, more dwelling in the present. Looking eastward off the porch of experience, the speaker endeavors to face the edge of what’s to come (or come apart). This takes gumption, and proves terribly trying (and terrifying). What “shape” does the present take? Standing at the edge to embrace shapelessness, the fact that there’s no “single story”? To be alive to the process? These questions concern this chapbook as much as—and, indeed, are indistinguishable from—the speaker’s experiences as a patient in a psychiatric ward. on a wave of snow. . . .
Straight from the annals of the school of quietude, ink-brushed mothers, coffins, waves, and snow can all be found in The Tulip-Flame. Yet here they’ve been disquieted, and prove disquieting. Overshooting Symbol, they light on the threshold of the hallucinogenic, of madness. like fire that has lost its way. . . .
and know the ages of our souls. Shape and story aside, her allegiance to description itself, to forging connections (hence, that “telephone wire”), comes into question. To sit with herself like Whitman’s spider-poet and try to keep it together by “[launching] forth filament, filament, filament out of [herself]” is “important,” but by no means a given. From “Note Home”: “The light is fluorescent. Everything hums. It is so important to go on naming, even if all I said to you this winter was snow, snow, snow.” Her senses are on overdrive, yet her sense of recognition is off. Faces are doing funny things. She thinks she’s seen a fellow patient’s face before “in heavy, browning blossoms, ancient and disorganized” (“Blossoms in the Psychiatric Ward”). Her psychiatrist has a face “like an old dictionary” (“The Ward Above”). Verbs of throwing (oneself) and of jumping accrue the savor of suicide. A kind of hooded female Grim Reaper is shadowing her around town. Eerily, the woman carries a gladiola “like a spine in bloom” (“We’re Supposed to Get Snow Tonight”). In the distance: white clots of smoke rising from the Georgia-Pacific paper plant. could appear behind me, waving from any one of these dark windows. Dickinson’s fly buzzes and death hovers. Rumors of shock therapy and miracle drugs—such poisons—circulate. The destructive impulse rises like a tide, flooding through otherwise “quickening” acts. Flight is grounded, writing erased, her group therapy only endurable when viewed as a family that she can “tear down” (“Group Therapy”). The fluorescent light in the group therapy room is vetting me for some terrible migration. I ask the counselor to turn it off. My native bird is flightless. It’s a cousin to the moa: a brown hut of a bird. […] My native bird is nocturnal. Though it has lived fifty million years, it and the sky have reached no agreement. You want to know what I believe? I believe my dog would come between my death and me, that she would come huffing and shaking all over, as her dreams allow. The old god/dog salvation sendup is deliciously bathetic. The speaker’s dog anchors her to earth. Subtly morbid though it is, she can hold her “warm, happy skull through the night” (“The Ward Above”). a blaze in the midpoint of a wet field. More than the mother’s illness or death, this unruly burning represents the broken compact of safety and sanity. By dent of the ingenious structure surrounding it and keeping it at bay, we can feel the tug toward disintegration and destruction. Throughout The Tulip-Flame, such decentering, central burning is kept “slight and low” through “practice” (“Dress Rehearsal”). But what happens when the dance is over? After the first book is out? How, or for how long, can the flame be kept at a distance, contained in the past, described in form? Neither entirely chosen nor entirely given by circumstance, this is the task of Then Winter: to look into the eye of The Tulip-Flame, into the abyss. Originally from Alabama, AUSTIN SEGREST now lives and teaches in Wisconsin. His poems can be found in The Yale Review, The Threepenny Review, Image, Ploughshares, Shenandoah, Blackbird, and New England Review. 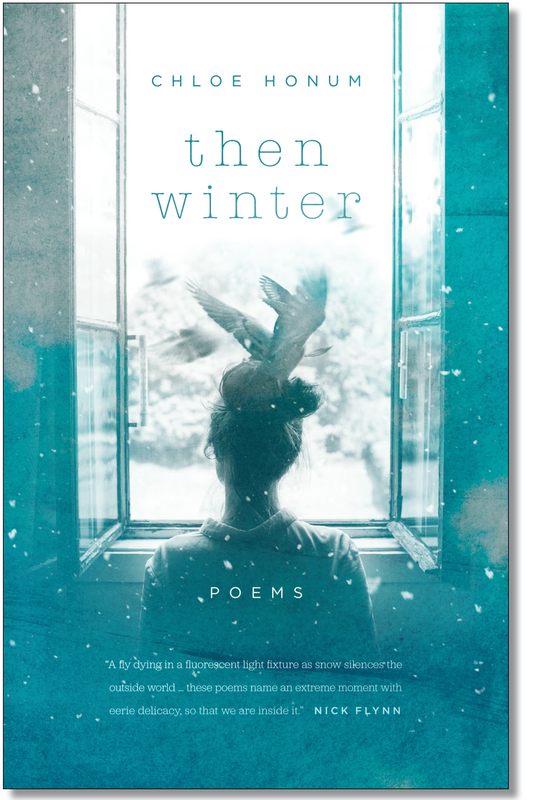 Then Winter. By Chloe Honum. Bull City Press, 2017. The Tulip-Flame. By Chloe Honum. Cleveland State University Poetry Center, 2014.